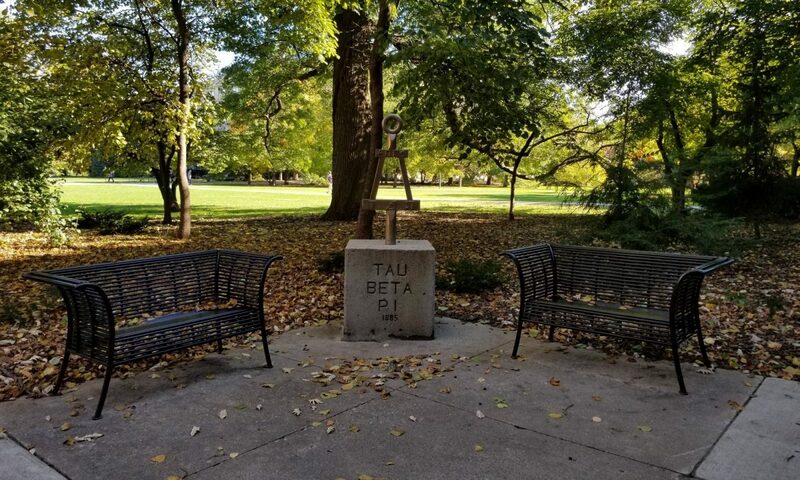 This is the first General meeting notes for Tau Beta Pi, IA Alpha chapter for the fall semester of 2017. We will start with the general layout of the chapter updates from our meeting. IA Alpha chapter is ordering Golf Polos, so if you are interested, Please sign up at this Link . Last day to sign up is Wednesday, August 13th. Tau Beta pi is organizing intramural sports. If you are interested, Please sign up in this Spreadsheet. PI mile Run is coming up on the 23rd of September. Volunteers are needed to help with many tasks. Please sign up here. The registration link will be up soon. Our scholar Nick Thota is planning to participate in Senior Visitation day. It will be a club fest sort of thing where on campus organizations show senior high school students what they do on campus, so if you have any suggestion or planning to help Nick, please contact him. Small group presentations followed by initiate elections. Amy Seiberta from Minnetronix came and talked to us. Speaker for student entrepreneurship came in to talk to us. Bill Adamowski from ISU StartUp factory. Started out as software engineer in industry but wasn’t satisfied. Entrepreneurship was the right path for him. Talked about how there isn’t as much risk involved as commonly portrayed. Gave several reasons to become an entrepreneur, but ultimately it boiled down to more philosophical reasons. The key is wanting to contribute to society in a meaningful way, being willing to work hard, and enjoying the challenging work that you do. Figure out what makes you happy and what you want to do with your time. We held a resume workshop and practiced interviewing techniques to prepare for the Spring 2016 Career Fair! Free Coffee Friday needs help this week! The Initiation Ceremony and Banquet will be this Sunday, December 6th! Soon-to-be graduates spoke about future plans! Sign up to help with the initiation banquet! Volunteer sign-up already happened, but contact Catie if you end up having some time available to help! Help is appreciated, sign up on the doodle poll from Catalina! Sign up will come by email next week! IAA Members should volunteer if possible, even if it’s only for an hour or less! There was a large amount of participation and overall the event went very well – a big thanks to all of those that helped out! Encourage prospective members to join TBP if the opportunity arises! Groups were assembled and had to make a device that could place different small objects in a Styrofoam cup located in the center of a square. Participants were not allowed to put their bodies inside the square, and had to use their devices instead. Free Coffee Fridays will be starting 2/6/15 in the Hoover Atrium to help sign up with Catalina Parada (cparada@iastate.edu) or Sandra Greenwood (sgreenwo@iastate.edu). National Tau Beta Pi scholarships and fellowships are coming or are out on the national website at http://www.tbp.org/memb.cfm. Initiation Letter Stuffing Party will be held on Sunday, February 1 at 1 pm in the Howe Atrium. Initiation Small Groups and Leaders were chosen. Building the Futures is on Tuesday, November 18. Set up was done in Sukup Hall for this event. Small group presentations from the initiates for Fall 2014. Add a publicity chair? Lots of social media. Finals week coffee bar put on by TBP? (From group that won best chapter): TBP and SWE host their career fair, maybe do something similar here. Employer dinner the previous night here at ISU since career fair already hosted?